I have organized public events before but this time the pressure was high as we moved into our New home and we were planning for our House warming ceremony. After planning for the food the next most important task was the Return Gifts. I wanted to give something creative and unique, having said that I am not good at DIY's nor making crafty gifts myself. Even if its wrapping up a rectangular box in gift paper Mr. R does it because I can screw up that as well. So what if i am not creative I am surrounded by many who are. At a local event I met Shraddha and Samir the owners of Bath and Bask. Bath and Bask is their online store where they sell handcrafted Bath supplies. I know as simple as these words sound you will be astonished to see their soaps in real. At first glance when you see the soaps you think they are candies as they are beautifully wrapped and in lovely unique shapes. Emojis to fairy tale characters, minions to paintings they have it all. When I spoke to the owners they said just send us any pictures that you like and we can create a soap for you. I was amazed when I learnt not only that the soaps were attractive but they were made from organic essential oils and hand made. It means a lot of care and love goes into making it as its their passion job. 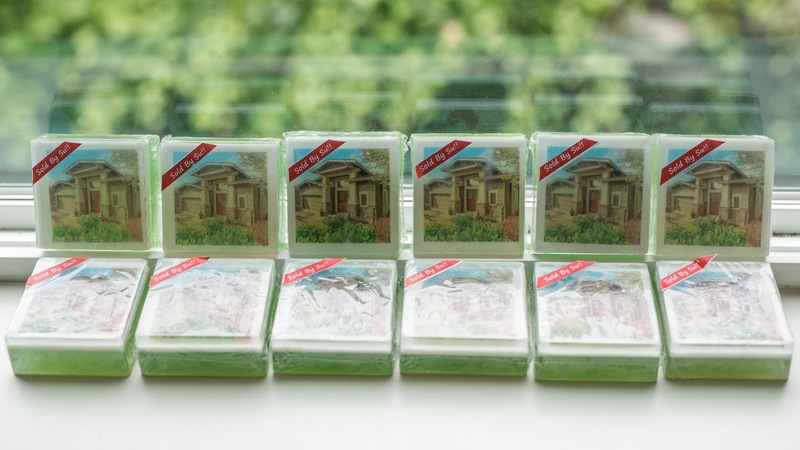 So I told Sharddha and Samir about my house warming ceremony and asked if we could make soaps which looked like my house. They said yes instantly. 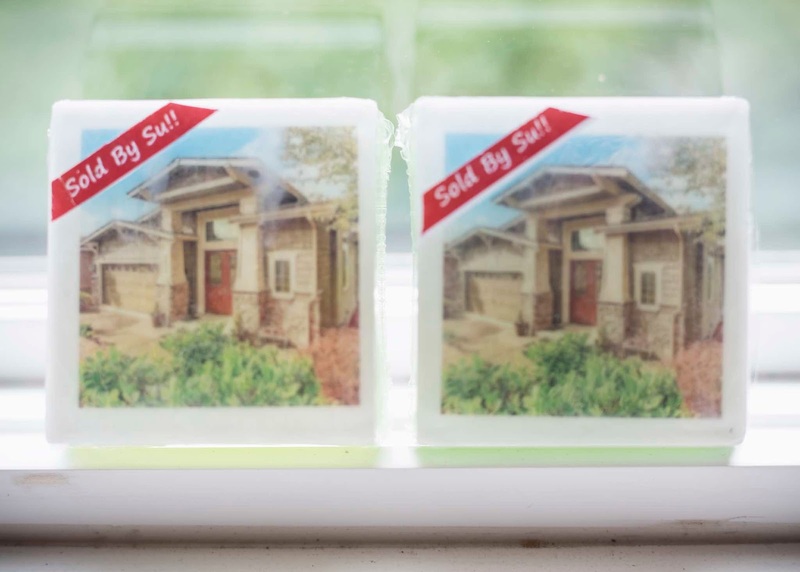 The next day I sent them a picture of my house and that night they showed me a sample soap- a personalized soap- which had the picture of my house. I couldn't have planned for a better gift and surprisingly it wasn't expensive, they give discounts on bulk orders. At the house warming ceremony each of my guests really appreciated the gifts. They loved the idea of carrying with them a miniature home. To top it all it smelled great and was a good use for even people with sensitive skin. 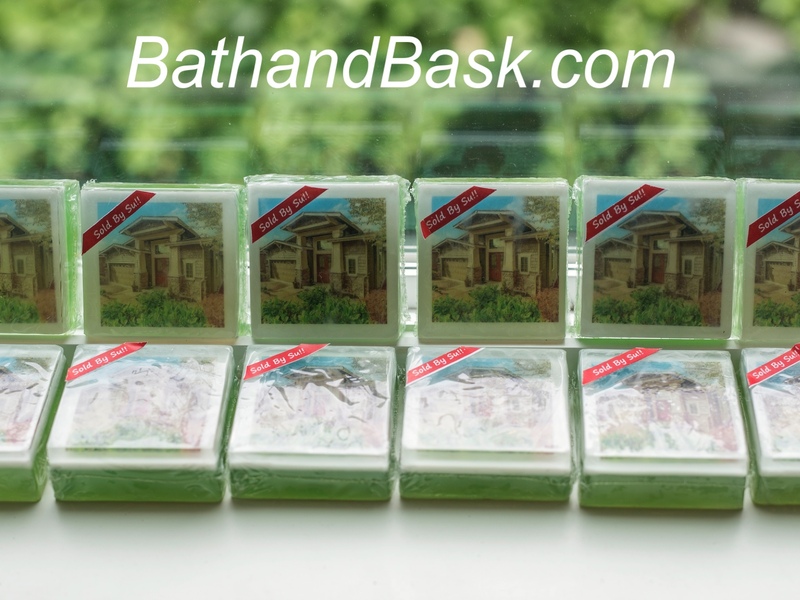 Please go visit their website http://www.bathandbask.com I am sure you will love their products. They do ship anywhere in USA and anything you can think or dream off they can convert it into a beautiful soap. 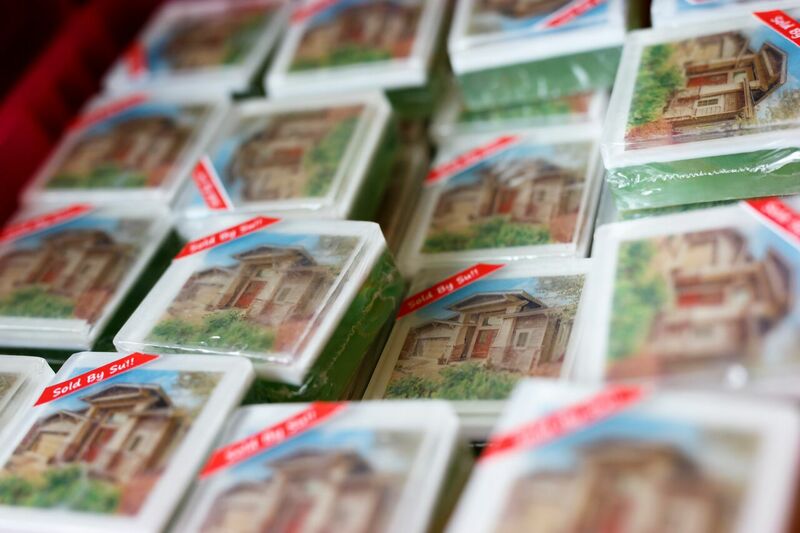 Its the best gift for this holiday season, surprise your loved ones with a soap that has their picture on it and something that they love ! what an interesting and cool bar of soap. That's a really cool gift for house warming. N i love the minion soaps too.